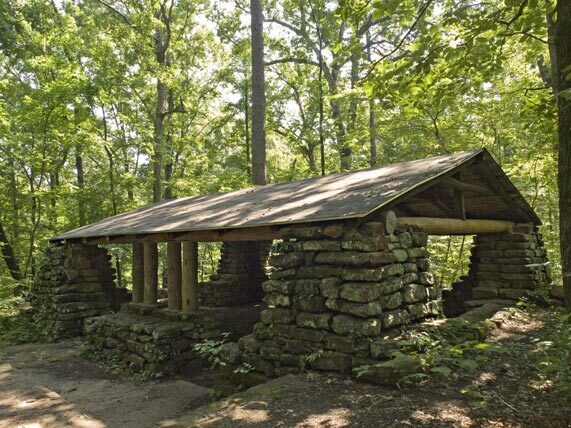 Layers of masonry simulating dry-laid construction define the shelter house's corners that support the log framing for the roof structure. Vertical logs resting on stone masonry provide intermediate roof support. Original architectural drawings proposed a larger building—longer with two intermediate masonry roof supports, front and back.